Sixteen people in Macon have been arrested, and law enforcement is looking for six more, all accused of stealing identities and credit card information, then applying it to Bibb County and Georgia prisoners' accounts. A combined effort between the United States Secret Service, Alcohol Tobacco & Firearms, and the IRS led to a street sweep and search warrants on Hillcrest and Anthony Roads in Macon. The three organizations worked together to investigate Racketeer Influenced and Corrupt Organization (RICO), according to a release. Denise Krieger allegedly stole "countless identities and associated credit card information" from people throughout the nation. It's reported she got the information through 1-800-Flowers and other internet businesses she worked for. She, along with other co-conspirators, used the stolen credit card information and applied money to Bibb County jail and Georgia Department of Corrections prisoner accounts. The money would then be used for prisoners' telephone, commissary accounts as well as assisting inmates in making bond. Officials believe they've determined many of the arrested are affiliated with the Crips street gang. --Denise Krieger, age 41, of Macon, charged with Identity Fraud, Violation of Georgia R.I.C.O. Act, Participation in Criminal Street Gang Activity, Contributing to the Delinquency of a Minor, and Probation Violation – In jail without bond. --Jamie Krieger, age 39 of Macon. Financial Identity Fraud, a Party to a Crime, Contributing to the Delinquency of a Minor, Possession of a Firearm by Convicted Felon, and Probation Violation. – In jail without bond. --Kodie Thomas' Frank DiDiego, age 21 of Macon. (58 cts) of Identity Fraud, Violation of Georgia R.I.C.O. Act, Participation in Criminal Street Gang Activity, and Contributing to the Delinquency of a Minor. – In jail without bond. --Cassius Eugene Harris, age 26 of Macon. (11 cts) of Financial Identity Fraud and Violation of Georgia R.I.C.O. Act. Harris was already in custody of the Bibb County Sheriff's Office for unrelated charges of Theft by Taking-Felony, Probation Violation Superior Court, and Probation Violation State Court. – In jail without bond. --Gregory Dewayne Dinkins Sr., age 38 of Macon. Financial Identity Fraud and Probation Violation. – In jail without bond. --Michael James Jackson Jr., age 26 of Macon. Financial Identity Fraud. Jackson was already in the custody of the Bibb County Sheriff's Office for unrelated charges of Identity Fraud When Using /Possessing Identity Information Concerning a Person, Forgery- 1st Degree, Forgery- 2nd Degree, Giving False Name, Address, or Birthdate to Law Enforcement Official, and Probation Violation. – In jail without bond. --Jessica Robin Smith, age 26 of Macon. ( 5 cts) Financial Identity Fraud and Violation of Georgia R.I.C.O. Act. – In jail with $25, 250.00 bond. --Rosalind James, age 55 of Macon. (3 cts.) Financial Identity Fraud, Violation of Georgia R.I.C.O., Superior Court Probation Violation. James was already in custody of the Bibb County Sheriff's Office for the unrelated charge of Theft by Shoplifting- Misdemeanor- In jail without bond. --Tamiko Thorpe, age 46 of Macon. (15cts) Financial Identity Fraud, Violation of Georgia R.I.C.O. Act. Thorpe was already in custody of the Bibb County Sheriff's Office for the unrelated charges of D.U.I., and Probation Violation. – In jail without bond. --Nikkole Kapree Barnes, age 24 of Macon. (13 Cts.) Financial Identity Fraud and Violation of Georgia R.I.C.O. Act. – In jail with bond amount of $ 33, 200.00. --Kewaunis Destavez King, age 26 of Macon. (3cts) Financial Identity Fraud, Violation of Georgia R.I.C.O. Act. King was already in custody of the Bibb County Sheriff's Office for the unrelated charges of Criminal Street Gang Activity, (2 cts) Simple Battery, Theft of Lost or Mislaid Property- Felony, Willful Obstruction of Law Enforcement Officers- Misdemeanor, Criminal Trespass, Hold for Warner Robins P.D. and Hold for Houston Co. S.O. – In Jail with bond amount of $22,200.00 before being released to holding agencies. --Tasha Yolanda Phillips, age 30 of Macon. (2cts.) Financial Identity Fraud, Violation of Georgia R.I.C.O. Act. . Phillips was already in custody of the Bibb Sheriff's Office for the unrelated charges of Tampering with Evidence-Felony, Murder, and Aggravated Assault. – In jail without bond. --Sharod William Tremaine Simmons, age 27 of Macon. (2 cts.) Financial Identity Fraud, Violation of Georgia R.I.C.O. Act. Simmons was already in custody of the Bibb County Sheriff's Office for the unrelated charges of Probation Violation, Bench Warrant-Drug Court, Possession of a Firearm or Knife During a Commission of or Attempt to Commit Certain Felonies, Possession of Schedule II Controlled Substances, Purchase, Possession, Manufacture, Distribution, or Sale of Marijuana, and Pimping-Misdemeanor. – In jail without bond. --Rashawn Scott, age 22 of Macon. Scott is currently in custody of the Georgia Department of Corrections. 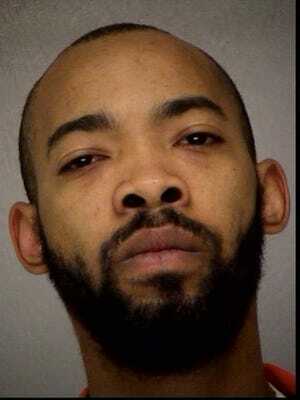 He has charges in Bibb County for (12 cts.) Financial Identity Fraud and Violation of Georgia R.I.C.O. Act. --Ashley Godfrey, age 29 of Macon. She is currently in custody of the Baldwin County Sheriff's Office. 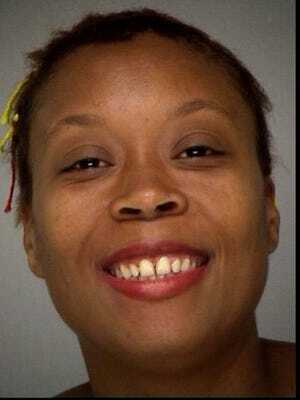 She has charges in Bibb County for (23cts.) of Financial Identity Fraud and Violation of Georgia R.I.C.O. Act. --Demetria Latrice Davis, age 43 of Macon. Davis has warrants for her arrest for the charges of (8cts.) Financial Identity Fraud and Violation of Georgia R.I.C.O. Act. --Tiffany Nicole Londy, age 27 of Macon. Londy has warrants for her arrest for the charges of (7 cts.) of Financial Identity Fraud and Violation of the Georgia R.I.C.O. Act. --Valerie Elizabeth Gradymiller, age 30 of Macon. Gradymiller has warrants for her arrest for the charges of (18cts.) of Financial Identity Fraud and Violation of the Georgia R.I.C.O. Act. --Shenita Quinta Harris, age 33 of Macon. Harris has warrants for her arrest for the charges of (3cts.) Financial Identity Fraud and Violation Georgia R.I.C.O. Act. --Latoya Jamaica Solomon, age 34 of Macon. Solomon has warrants for her arrest for the charges of (15cts.) of Financial Identity Fraud and Violation of Georgia R.I.C.O. Act. More arrests are expected in this case. If you have any information regarding this case, you can call the Bibb County Sheriff's Office at 478-751-7500.